White floral lace against a rustic burlap background combines traditional wedding beauty with one of today's hottest trends. 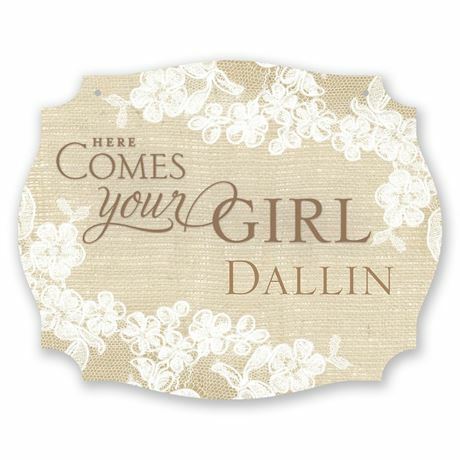 "Here Comes your Girl" prints above choice of name. Design prints only as shown. 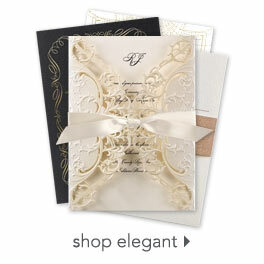 Wording prints in your choice of color. Your name prints in your choice of color and font. The foam core sign includes two drill holes for threading with ribbon. Ribbon sold separately. This item will ship separately from the rest of your order. Please allow 3 additional working days for production and shipping. Sign measures 20" x 16". 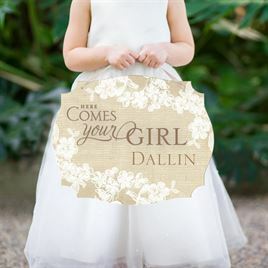 This unique sign will be sure to win hearts when carried by 2 adorable little boys down the isle! The bride and groom will then have a cute keepsake!You must add your own ribbon, it is not included, ours will be tied with burlap.The 1st sign arrived cracked, customer service was great about ordering a new one at no charge. It did take several days longer to arrive than I was told.I appreciated the trust that I received regarding the damaged one.